The Republican National Committee is launching a coordinated effort to pressure Democrats in Republican states to support President Donald Trump's CIA director nominee Gina Haspel. The RNC said it will be launching a similar strategy to the one successfully implemented to get newly-sworn-in Secretary of State Mike Pompeo confirmed last week. The RNC's war room team will monitor all print and TV coverage in real time to allow for quick pushback on any opposition, and promotion of positive coverage and video clips. The organization's research team will also be working to consistently remind reporters and surrogates about positive statements about Haspel made by current and former members of the intelligence community. In addition to pushing positive positions, the rapid response team and outside groups will be pushing back in real time on false or unfair Haspel criticism, along with promoting positive op-eds, TV interviews, etc. RNC spokesman Michael Ahrens said that if Democrats vote against Haspel, then they will be to the left of the intelligence officials from the Obama administration who have praised the nominee and voiced their support for her confirmation. "Gina Haspel has received broad bipartisan praise for the decades she’s spent protecting our national security, even when it meant putting her own life at risk," said Ahrens. "If red state Democrats plan to oppose the first female CIA director because of terrorist interrogations that occurred in the immediate aftermath of 9/11, it’ll put them to the left of all the Obama administration officials who say she’s universally qualified." 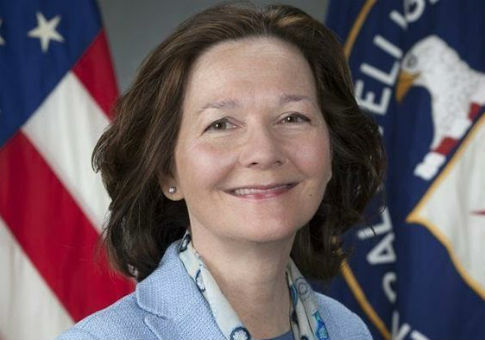 Several former intelligence officials from the Obama administration have publicly praised Haspel in recent weeks and have said she should be confirmed. "I think the world of Gina," said former Director of National Intelligence James Clapper. "I think she is a tremendous intelligence officer. I've worked with her on occasion when she served overseas. She had a second hat as the DNI representative and she was great, so I think she will be good for the agency." "Gina Haspel has a lot of integrity. She has tried to carry out her duties at the CIA to the best of her ability, even when the CIA was asked to do some very difficult things in very challenging times," former CIA Director John Brennan said. "Gina, again, is a very competent professional who I think deserves the chance to take the helm at the CIA." "She is widely respected throughout the agency and she will be welcomed in the new job by both current and former employees. I worked closely with Haspel from 2006 until my retirement from the Agency in 2013," former President Obama's former CIA deputy director Mike Morrell said. "During that time, I found her to be simply exceptional. She gets things done in a quiet, yet effective way, and she is calm under fire." "She has a proven track record in multiple assignments of being able to work productively with key foreign partners as well as the FBI. She is extremely smart, strong and unfailingly honest," Obama's National Clandestine Service Director John Bennett said. "She is totally committed to the CIA’s mission. … It will be very reassuring for the CIA work force that the president has selected a respected career professional to be the next DCIA." Michael Hayden, a retired four-star general who served as CIA director under Presidents Barack Obama and George W. Bush, has also voiced his support for Haspel, noting she is the "absolute best choice to be the director of CIA." Haspel, who has received criticism for her involvement in the CIA's post-9/11 torture program, has worked for the CIA since 1985, and if confirmed, she will be the first female CIA director. This entry was posted in National Security and tagged CIA, Gina Haspel, James Clapper, John Brennan, Obama Administration, RNC. Bookmark the permalink.